Captain James H. Fields (26 June 1920 - 17 June 1970) was a U.S. Army officer and a recipient of the U.S. military's highest award for valor, the Medal of Honor, for his actions during World War II. James H. Fields was born on 26 June 1920 in Caddo, TX. He joined the Army from Houston, TX. 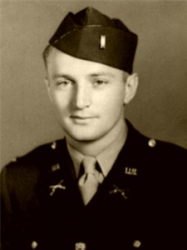 On 27 September 1944, he was serving as a First Lieutenant in 10th Armored Infantry Regiment, 4th Armored Division. On that day at Rechicourt, France, he led his platoon in a counterattack on enemy positions. 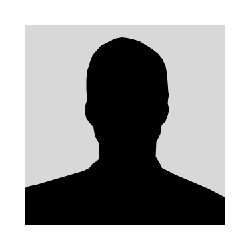 During the attack, he left cover to aid a wounded man and was himself severely wounded in the face. Although his injuries left him unable to speak, he refused to be evacuated and continued to lead his men with hand signals. When two machine guns began firing on the platoon, he left cover again and silenced the enemy emplacements. For these actions, he was awarded the Medal of Honor. 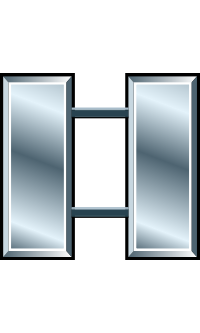 Rank and organization: First Lieutenant, U.S. Army, 10th Armored Infantry, 4th Armored Division. Place and date: Rechicourt, France, 27 September 1944. 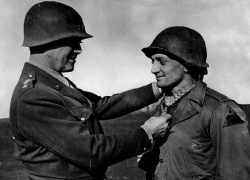 His Medal of Honor was presented to him in the field by General George S. Patton Jr. and he was promoted to Captain. Once Fields received his Medal of Honor, General George S. Patton Jr. had him sent back to the United States. General Patton stated in his book, "War as I knew It:" "I told Gaffey I did not want Lieutenant Fields sent to the front any more, because it has been my unfortunate observation that whenever a man gets the Medal of Honor or even the Distinguished Service Cross, he usually attempts to outdo himself and gets killed, whereas, in order to produce a virile race, such men should be kept alive." Captain James H. Fields died on 17 June 1970 at age 49. He is buried at the Houston National Cemetery in Houston, TX, in Section HB, Grave 6. General George S. Patton hanging the Medal of Honor around Field's neck.